So for the second week in a row, Mahvish and I decided on a whim to go to Chicago a few weekends back, and I just went again for Thanksgiving. Having been traveling these past few weekends, we have taken some time to reflect on ourselves. Have we taken the time to take care of our bodies? Did we get our workouts in? Are we being mindful and eating clean? Carry protein packed snacks & nibble on healthy snacks when you can. We love nuts, Larabars, dried fruit, banana chips, trail mix, sugar snap peas, mini sweet peppers with hummus & fresh fruit. Get enough sleep and don’t rely only running on caffeine. 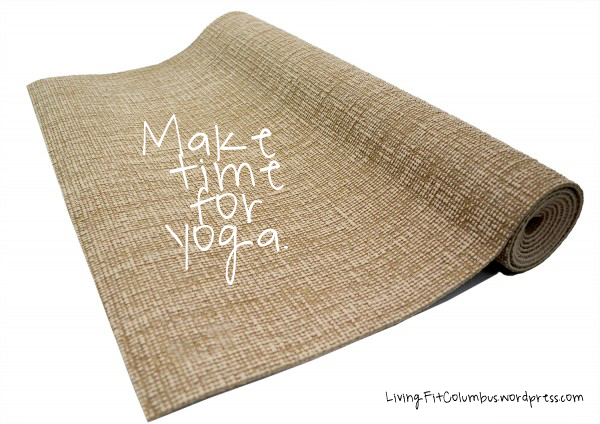 Find a local yoga studio to take a class or two. 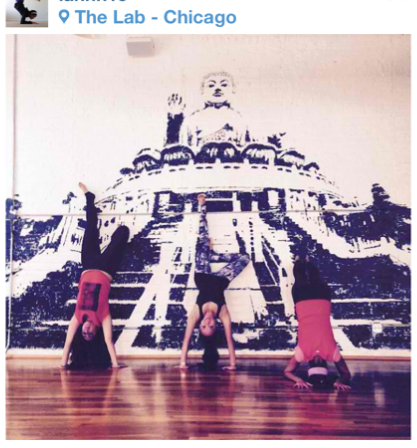 While in Chicago, we took a class with Carmen at The Lab and a couple sculpt classes at CorePower! Get out and squeeze a run in, even for a few miles. Its a great way to check out a new place while getting a workout in! Look into a local running group and perhaps do a run with them. Take some Airborne tablets. And/or enjoy hot tea or hot water with lemons as a simple detox. Traveling and not sleeping enough can wear down your body, I got sick after returning from one of my many trips. Remember, we aren’t, by any means, experts. These tips are just a few ideas that kept us from getting sidetracked from our goal(s) of taking care of ourselves. How do you stay on track of your fit routine when traveling? Feel free to share with us any ideas! 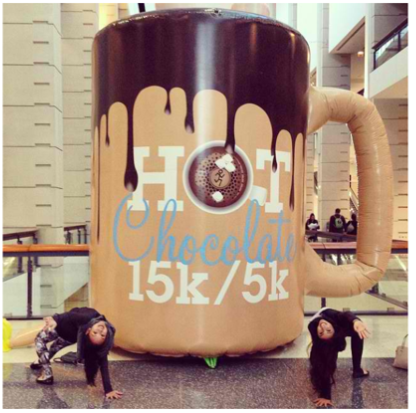 Stay tuned later this week for details on our winter fitness challenge! ← A fun FIT weekend!